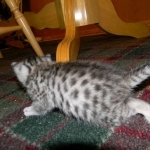 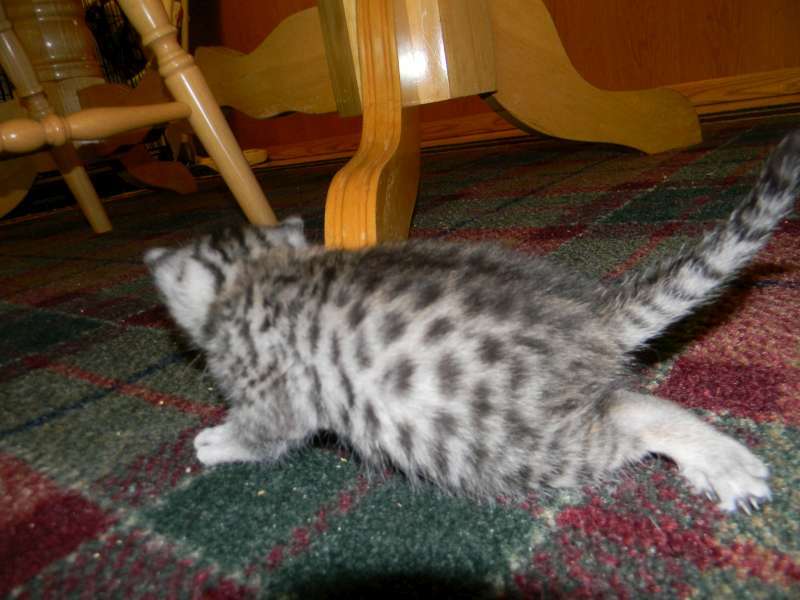 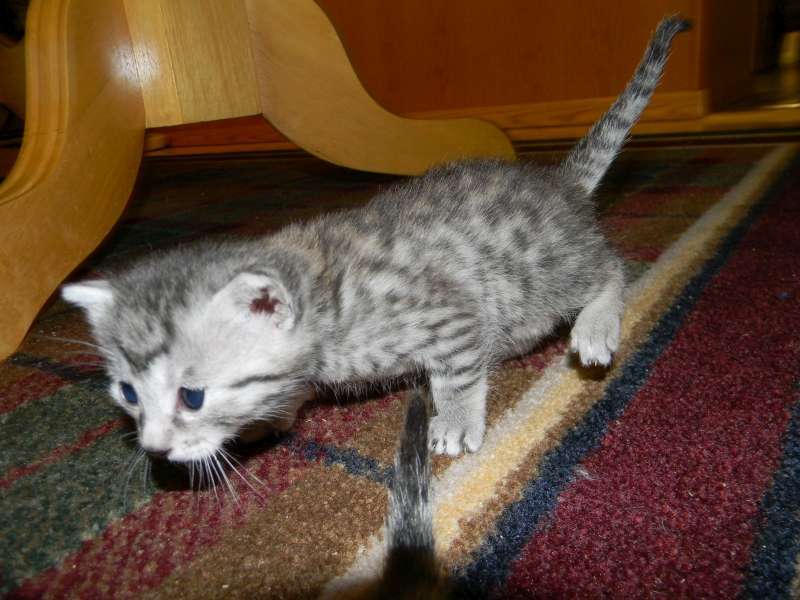 This beautifully spotted little mau girl will be going home with Ann and Gary in NC. 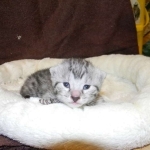 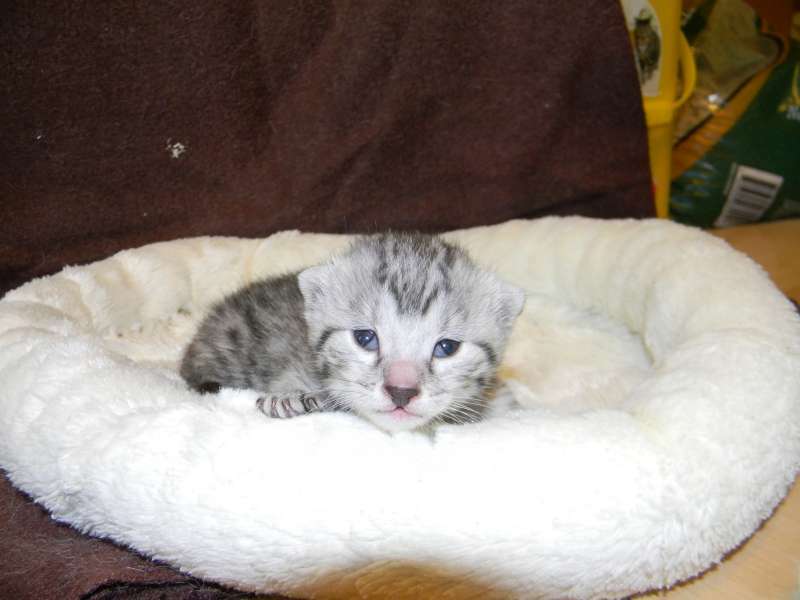 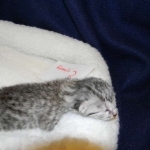 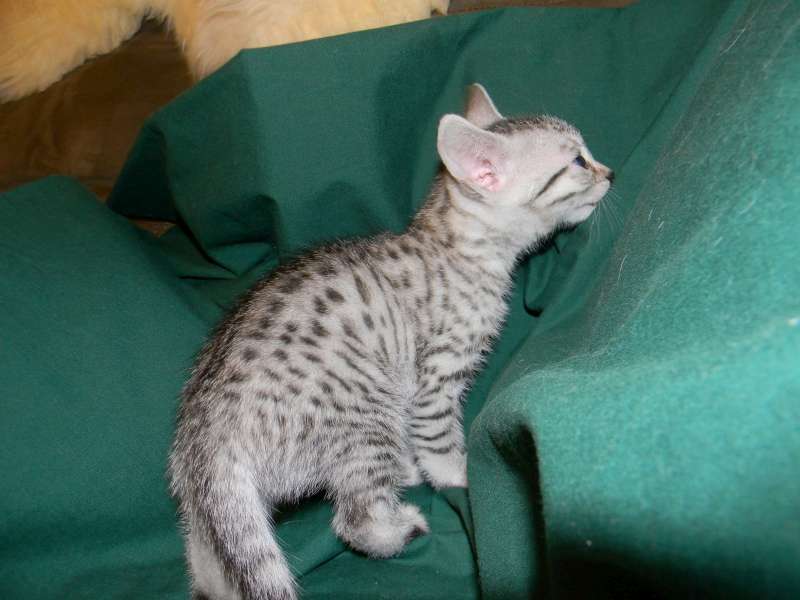 What a sweet face on this little Egyptian mau girl. 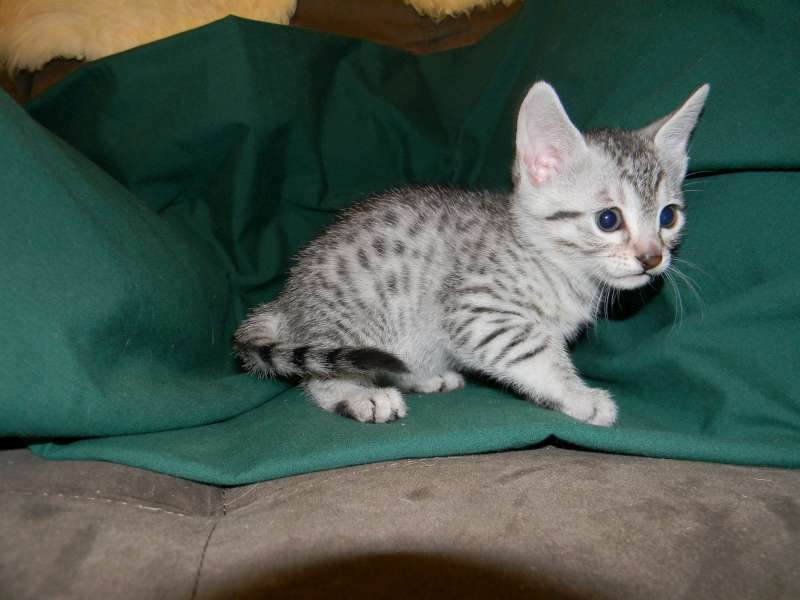 This mau girl has some great spots too! 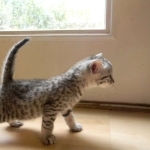 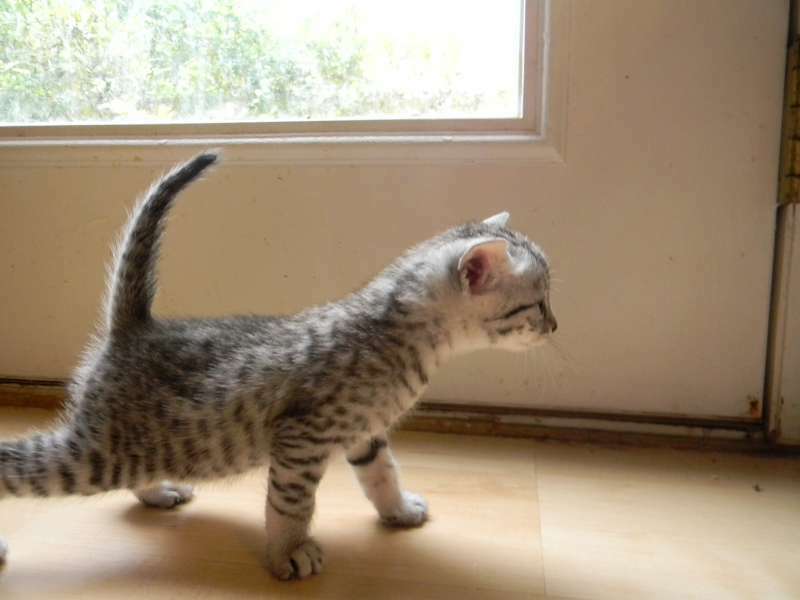 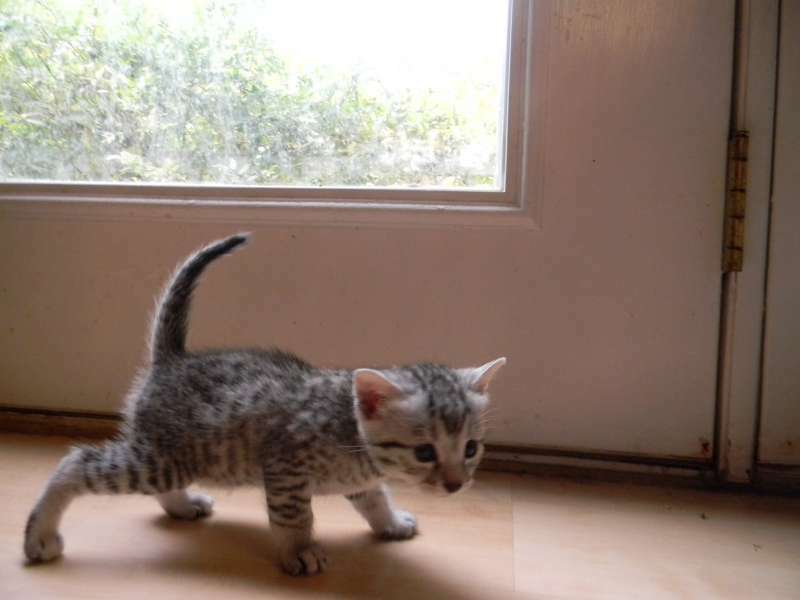 This little Mau girl is showing off her spots. 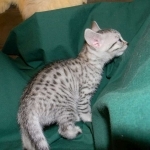 This Mau girl is just beautiful! 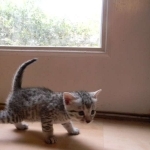 Mauwee is too cut at this age. 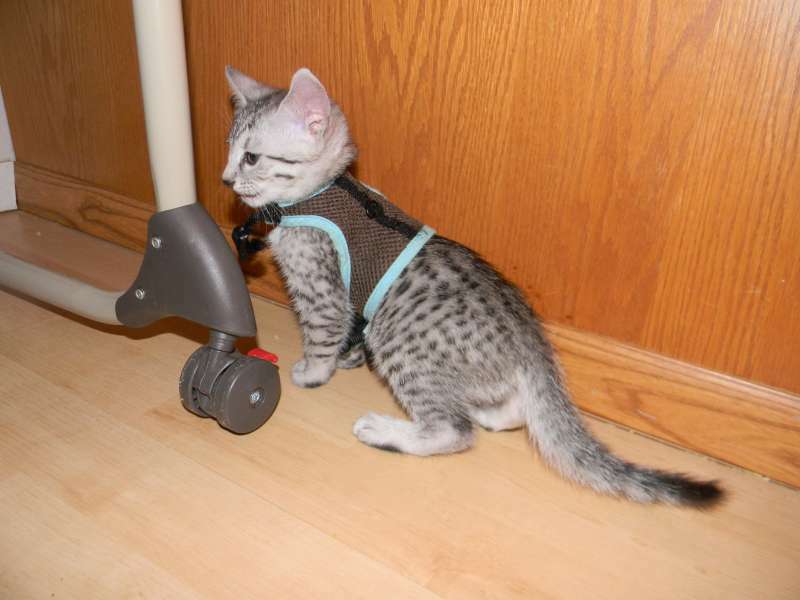 Mauwee was not excited about her harness. 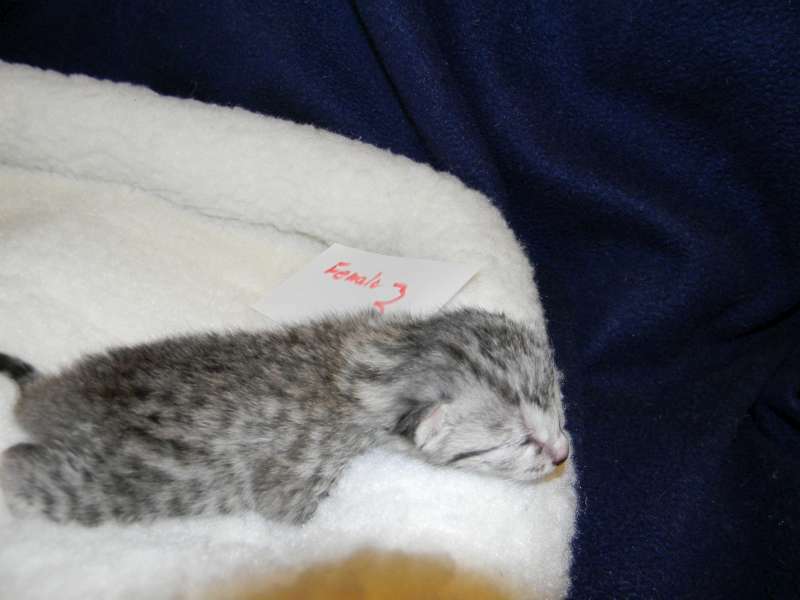 She finally settled in but she will take more work.